On Wednesday 21st December Critterish Allsorts attended Cygnet Derby for the day to provide a pet therapy session for Alvaston Ward, Litchurch Ward and Wyvern Ward. 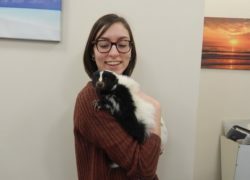 The animals included a snake, skunk, dog, giant millipede, lizard, tortoise and a chinchilla. 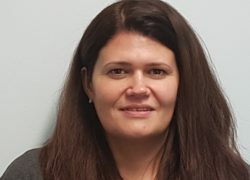 We are delighted to announce the appointment of Jo Sherman as the new hospital manager of Cygnet Hospital Woking. Jo has extensive experience having been a clinical manager in secure services and a hospital director in both generic CAMHS and high dependency CAMHS. 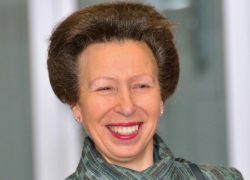 Cygnet Hospital Beckton is to welcome a Royal visitor to highlight the important role occupational therapy plays in supporting health, well-being and life-satisfaction for people who use the service. 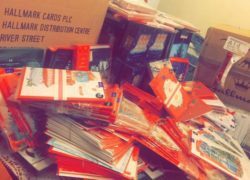 We are delighted to announce that, thanks to the generosity of Hallmark, all our service users will receive a Christmas card this year. 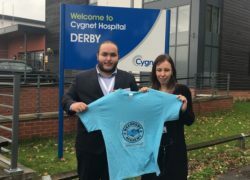 Rafik 'Raf' Hamaizia, Cygnet Health Care's Expert by Experience Lead, explains how this lovely gesture came about. In August 2016 we were delighted to announce the appointment of Rafik 'Raf' Hazmaizia as Cygnet's first Expert by Experience. In the following article Raf gives an overview of how his first few months have gone, the projects he has been involved in and the people he has met at Cygnet.